Today the choice of profession has become quite challenging. On the one hand, the choice is really extensive and interesting, on the other hand, Time dictates its terms. To accurately navigate when choosing a future profession, it is important to take into account its peculiar properties and prospects of development. Professions of financial sector, as financial analyst, risk manager, accountant, auditor etc., are in the list of demanded and always topical ones. Of course, over time, the professions in the field of finance are being transformed; completely new specialties are emerging, but one thing is clear: as long as economic relations are developing, major financial transactions are concluded and financial operations are being implemented, specialists in this field will be in demand. To understand which specialties of the financial area are the most relevant for today, and what is worth studying for building successful career of a financier, and also to learn about some “Success Stories” in finance in the company "VEON Armenia" (trademark Beeline), "BUSINESS 24" talked to the Dina Nurpeissova - Chief Financial Officer of the company. - Ms. Nurpeissova, which financial professions are most in demand today, and what are the development trends? - In our age of technological progress, which literally affects every area of human activity on a daily basis, the need for financial management remains relevant, since any activity implies economic expediency and gaining profit. In itself, the sphere of financial services is also developing, and it keeps up with market trends. For example, now the specialty of accountant is not limited to record-keeping and paying taxes, as it was previously. After all, modern technologies can soon cut out human labor from routine and systemic processes, such as transactions are. During my visit to one of the IBM service centers, which provides accounting services to large international corporations, I had an opportunity to see a software solution, which, by means of scanning standard documents, organizes the process of conducting transactions in the system. Today, the accounting specialist needs to constantly develop, to have deep knowledge of international standards, the changes of which is a permanent practice; they need to be able to correctly interpret deals and transactions, assess risks, analyze reporting trends and find ways of automating processes. That’s why, I am sure that practically all areas of financial management have development potential, but it is obvious that our market needs for development of some relatively new directions. I think that with the development of securities market, stock market, market of financial instruments, work with international investors, the need for highly qualified specialists in managing investment portfolios will increase. Besides, on the way to building a law-based country, attractive and favorable for business development and market investment, business entities will inevitably need to pay attention to strengthening the control environment, flexible system of risk management and relevance to the principles of compliance. Therefore, specialists in this area will also be in demand. In addition, the direction of financial technologies (FinTech) is now gaining momentum around the world: this is the development of the financial industry with the use of high technologies. This industry can and will compete with traditional financial institutions, banks. Therefore, the banking sector pays much attention to this direction. By the way, telecommunications’ companies, mobile operators are one of the first providers of alternative services: such as financial and mobile services, payment services through mobile devices. It is obvious that the development tendencies in the financial specter will be directed to the application of innovative solutions, new technological content, as well as to other scope of activities. And experts in this field should have a technical basis in order to know in which direction the market is moving. - What factors should be considered when choosing a profession of finance? What would you advise youth who want to become financiers and build a successful career? - Speaking in general about the choice of a profession, it is necessary to take into account variety of factors: first of all, macroeconomic factors of the region in which the activity will be carried out: they are the development of the investment and financial market, the legal and regulatory environment, including geopolitical and demographic indicators. For many specializations, it is also important to take in regard the prospects of sectoral development, while the specialization of finance is in demand in all sectors. But on the top of external factors, one should also take into account personal qualities, when choosing financial profession. To succeed as a financier, it’s important to have an analytical mindset, an ability to think logically, good memory and self-discipline. Like all professions, finance also implies constant development and gaining new skills; therefore, one should be ready for self-education as well. I would advise young professionals to be inquisitive, and, at least, at the start, to focus not on career, but on acquiring skills on their development. I also advise not to limit to narrow specialization, even if you succeed in it, as there is a close link between all areas of financial management and modeling. And most essentially, in order to build a career, it is important to love and enjoy the work, have diligence, desire to develop and an ability to set goals correctly. And strange as it may seem, the career itself, as a goal, may not work, but succeeding in large or minor projects and tasks, proactive position and internal development will inevitably become stairs of one’s career ladder. - Best of all, success stories reflect the situation in a certain sphere. 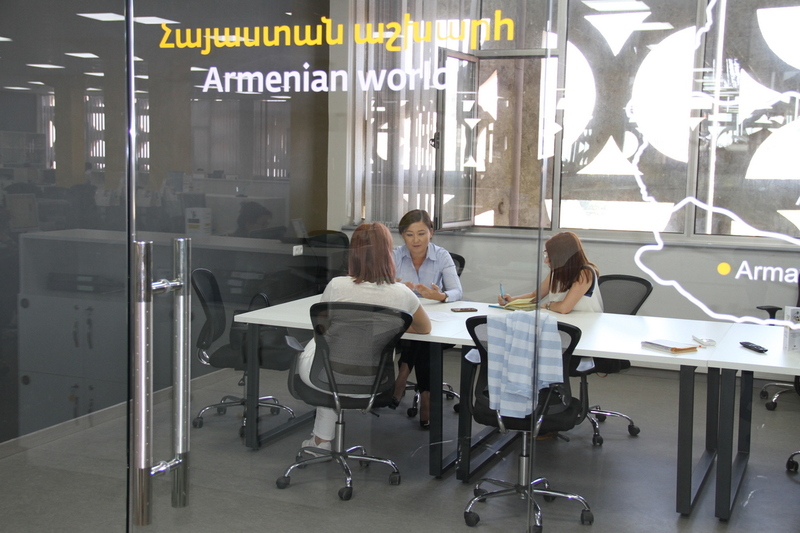 What examples of achievements of finance specialists can you bring from the practice of "VEON Armenia"? - There are numerous of such examples: they are the result of the corporate culture of our company in particular, and of the VEON Group of companies, in general. We give particular attention to the development and training of employees and do our best to ensure that the environment and the atmosphere in the company contribute to this. Financial Department is not an exception: one of the priorities of our work is the development and professional promotion of the employees. Across the team, the principles of mentoring and cross-functional development are cultivated. The employees participate in requalification programs of "VEON Armenia", and in the training programs abroad organized by VEON Group. And now answering to your question, I found myself thinking that every division of Financial Department has a decent history of success. But today I would like to bring examples from the division of Business Control and Risk Management. 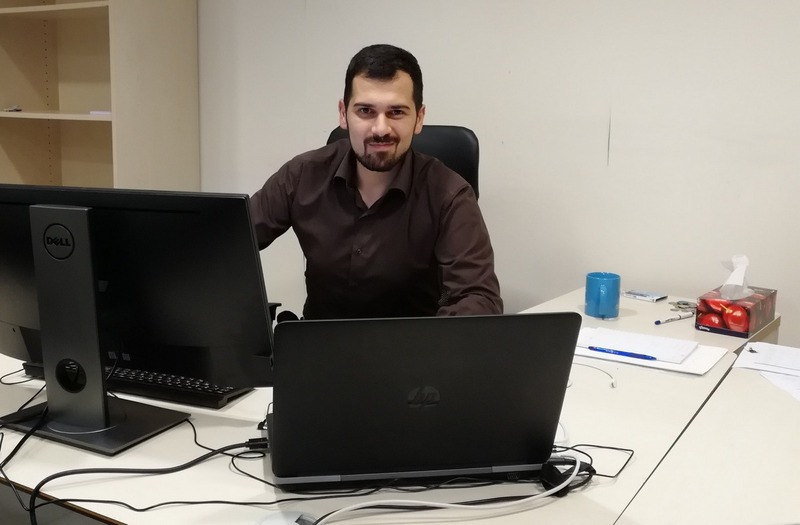 The key expert of this division, Sahak Gevorgyan, joined Beeline team three years ago as a financial analyst for managing technical projects and costs. His professionalism and proactive position (he was the leader of projects targeted to improving the processes of investment and project accounting) became the basis for the next step in his career: for a few months he was involved in a pilot project to launch Financial Services Center in Kazakhstan for the countries of the Central Asian region of our Group. After that, we suggested him to lead a new division – Business Control and Risk Management. He not only succeeded in the new position, but also introduced a lot of improvements into the division. But the most important thing is that he managed to prepare a young specialist for the division, which is another success story of our team. Artak Hovhannisyan started his career several years ago as an accountant. Later, he worked in Financial Planning and Analysis Service. Now, being an expert in Internal Control, Artak is leaving Armenia to take part in the testing and monitoring of financial controls for all Group Companies under the supervision of our Head Quarter in Amsterdam. He will receive an enormous international experience, and I hope he will return to apply his experience in Armenia. 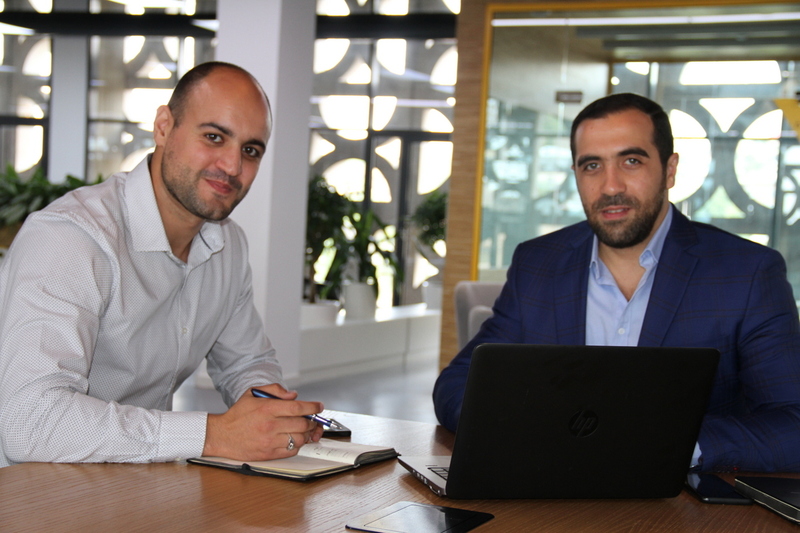 And the last example that I cannot miss is the success story of Arsen Avetisyan, who joined the Company four years ago and actively contributed to the development of Business Control and Risk Management division. Later, noticing Arsen's personal qualities and his openness to challenges and changes, the Company offered him a managerial position in the division of Fraud Management and Revenue Assurance. At the moment, Arsen is working in Kiev, where VEON Group of Companies has a Center of Excellence of Controls and Risks, which provides methodological support and development of the function in all countries of the Group. I am pleased to note that the development and promotion of the personnel is not limited to the scope of our Company: today our team in Armenia can be positioned as a donor of highly qualified professionals and proactive specialists for the international market.